When you create a milestone, you can associate it with issues and pull requests. Additionally, you can edit the milestone from the milestone page and create new issues that are, by default, associated with the milestone. 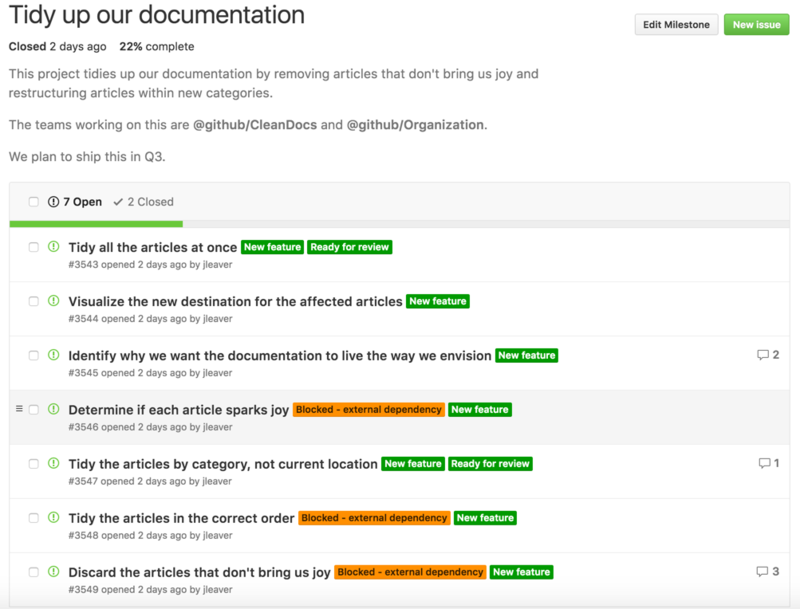 You can prioritize open issues and pull requests in a milestone by clicking to the left of an issue or pull request's checkbox, dragging it to a new location, and dropping it. Note: If there are more than 500 open issues in a milestone, you won't be able to prioritize issues.